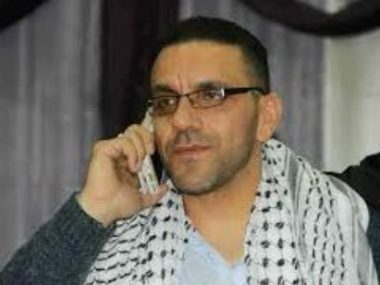 An Israeli court in occupied Jerusalem has ordered, Sunday the release of Adnan Gheith, the Palestinian Governor of Jerusalem, along with several other members of Fateh movement. In its ruling, the court ordered the release of the governor, along with nine other Palestinians from occupied Jerusalem, on bail and under the condition that they do not enter the West Bank for two weeks. The governor, and many members of Fateh movement, were taken prisoners in Jerusalem, on November 25th. His abduction was the third in less than one month, in addition to being repeatedly summoned for interrogated, and banned from traveling abroad. The governor was previously banned from entering the West Bank for six months. The nine Palestinians who are included in the release order along with the governor are Ala’ Abu al-Hawa, Amer Awwad, Fadi Mahmoud, Husam Abu Sneina, Khalil Bahir, Mohammad al-Qaaq, Ahmad Mustafa, Eyad Hadra and Hatem al-Emhalwes.